It is my honor to receive the "Excellent Student Award". 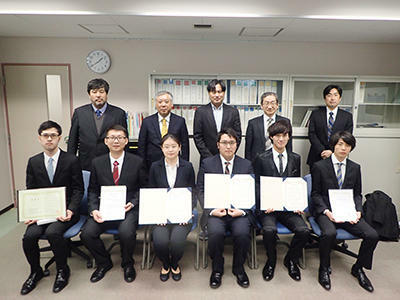 I would like to express my great appreciation to all the people who gave me so much help and valuable advise: my supervisor Professor Masato Akagi, my second supervisor, Professor Masashi Unoki, members in AIS laboratory and my family. Without them I would not ﬁnish my degree. The two-year study abroad life in JAIST is coming to an end, but it will definitely become one of the most precious memories of my life.